Catalog of 3-D CAD designs allows Buckeye Shapeform customers to download and modify designs specifically for their products. For this contract, we fabricated a custom steel enclosure with custom plastic card guides to mount UPM’s printed circuit board and secure the internal components. When an international integrator was searching for an enclosure manufacturer to create a custom enclosure for an electronic product, it turned to Columbus-based Buckeye Shapeform for help. Finding Buckeye Shapeform ended months of research for UPM, which had been unable to find a standard design to retrofit the guides and accommodate the size and depth of its electronic card guide technology. Many enclosure manufactures offered standard cases, but UPM needed customization options. The company reached out to Buckeye Shapeform for help. 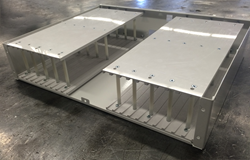 Buckeye Shapeform manufactures a lot of custom enclosures for the telecommunications industry, said Ken Tumblison, president of Buckeye Shapeform. 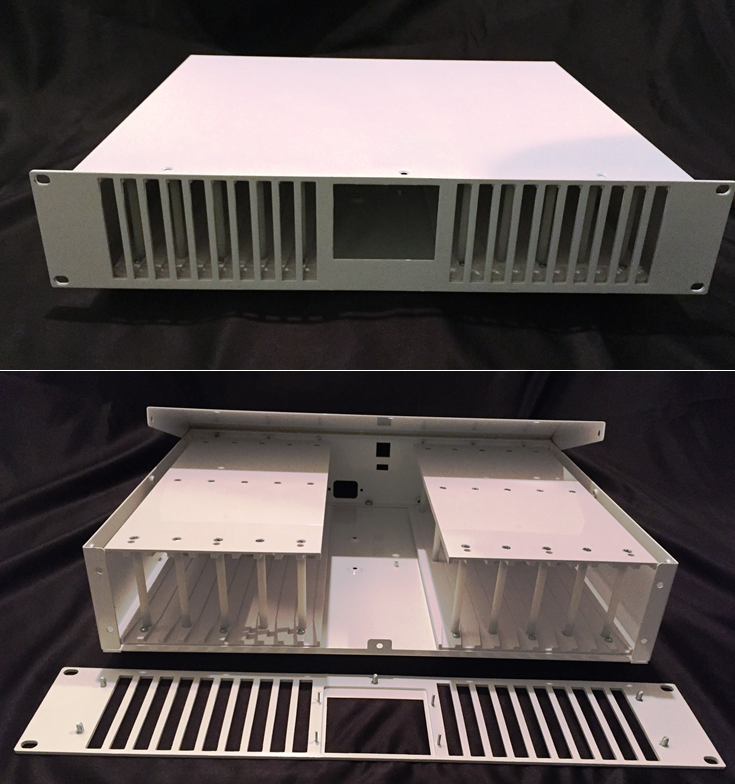 In order to fulfill UMP’s specific requirements at a minimal cost, Buckeye Shapeform created a custom enclosure. Buckeye Shapeform began manufacturing the custom chassis earlier in January. UPM used three-dimensional (3-D) CAD drawings to create a prototype of the design on a 3-D printer. Buckeye Shapeform then created the custom enclosure. Buckeye Shapeform further customized the enclosure with specific hole punching and machining and painted it white, using its in-house powder coat finish technology. UPM was very happy with the final product and plans to use it domestically and internationally, Tumblison said. Founded in 1902, Buckeye Shapeform includes Buckeye Enclosures, Buckeye Novelty Cans, Buckeye Knobs and Buckeye Deep Drawn Technology. Buckeye Enclosures offers a complete line of off-the-shelf instrumentation enclosures as well as services for modifying standard enclosures and creating completely customized solutions in either metal or plastic material that’s widely used in the military, medical, audio/visual, and telecommunications industries. For more information, please visit http://www.buckeyeshapeform.com.